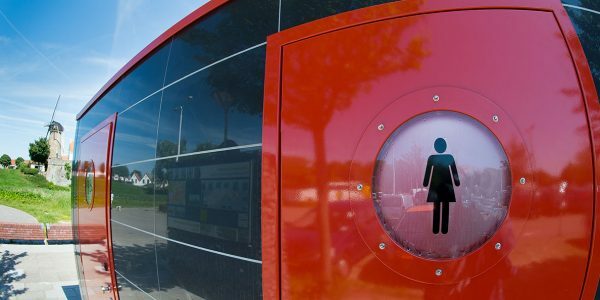 SCHOWEN DUIVENLAND – parking areas: installation of CITY H3NU public toilets. 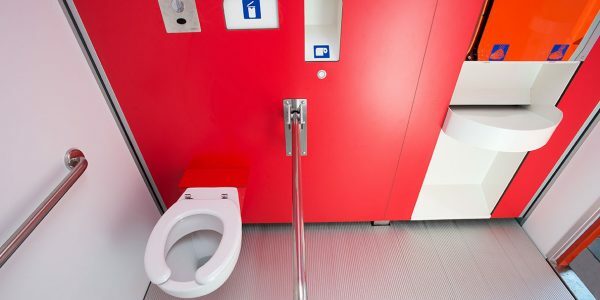 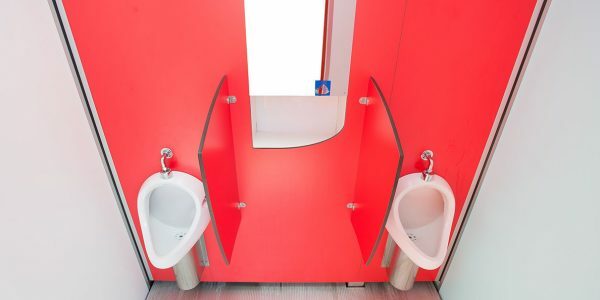 Toilitech has designed and realized outdoor pre-cast toilets with one toilet for disable users, three for able-bodied users and one room urinals. 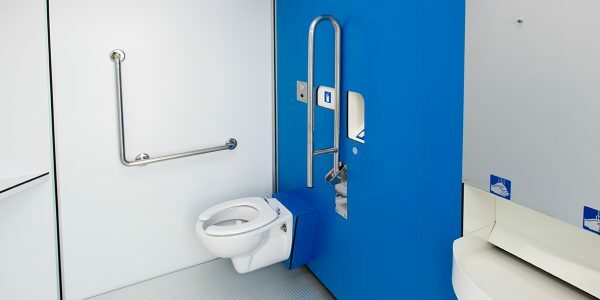 One block has grey painted walls, stainless steel blue painted doors and automatic showers on left side. 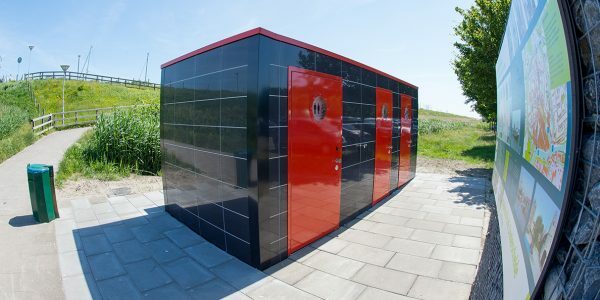 the other has external black tiles cladding and stainless steel red doors. 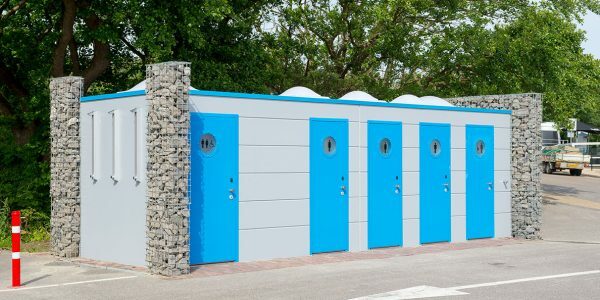 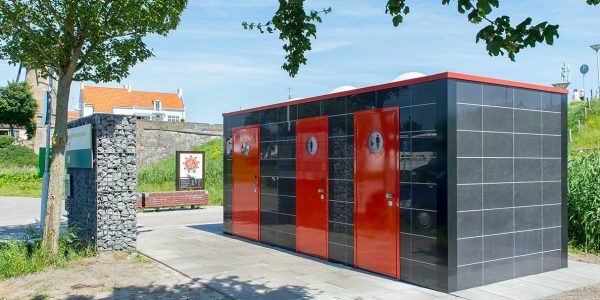 CITY toilets is a line of PREFABRICATED OUTDOOR PUBLIC CONVENIENCES conceived to be installed in urban contexts such as markets, public parks, rest areas, parking lots etc. 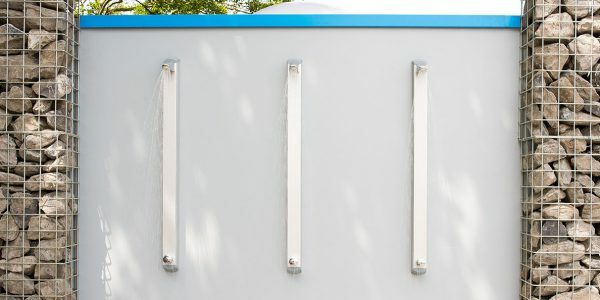 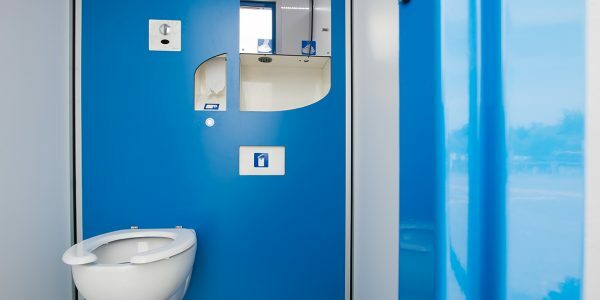 CITY toilets are made of special concrete reinforced steel, with an extremely ROBUST and FLEXIBLE structure, and allow several finishes and various formal solutions.